Gsm and Micron have no direct correlation. You can’t just convert 1 into another. GSM is weight and micron is thickness. We have measured some of our most popular card stocks. 2 men both weigh 85kg each. One man is tall and THIN. The other short and FAT. 2 pieces of paper both weight 180gsm. One is thin. The other is thick. The most asked question. What is ***gsm in micron? or How many Micron is ***gsm. What you are actually asking is how thick is 3kg? or How much does 10cm weigh. Paper weight and thickness, let’s start with GSM – paper weight. GSM stands for Grams Per Square Meter, a measurement used to identify the weight of different types of paper and card. The higher the value of GSM, the heavier card or piece of paper. So a 1msq 400gsm board weighs 400 grams. 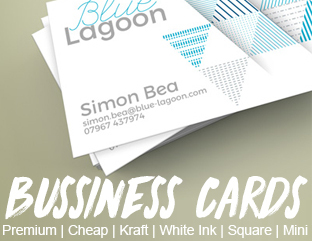 So, the difference between our 300gsm Cheap Business Cards and our 400gsm Premium Business Cards is simply, the weight of the card. Similarly, a 120gsm letterhead is bulkier than a 90gsm letterhead. 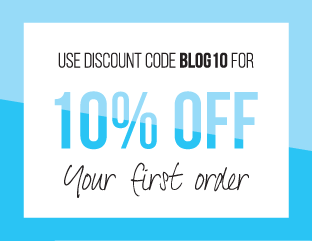 A heavier card or piece of paper contributes to a more premium feel and lasting effect with your customers. 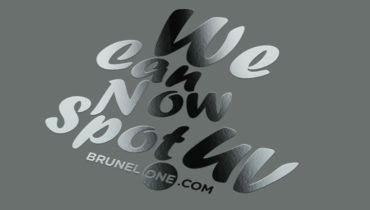 Brunelone.com provide FREE Print Samples, all you need to do is fill out the sample pack request form. There are various different paper weights and finishes included in the pack. Definition of Micron – The Thickness of Paper. Card thickness or calliper is traditionally measured in Microns. 1000 Microns = 1mm, so the higher the value, the thicker the card or paper. Usually paper or card is sold by weight as opposed to thickness, but sometimes you may see Microns instead. Thickness of card sold usually starts at around 200 microns, and finishes at around 500 microns. Micron and GSM – are they linked? Yes and no. It depends on the type of material used. Many people confuse paper weight with paper thickness! 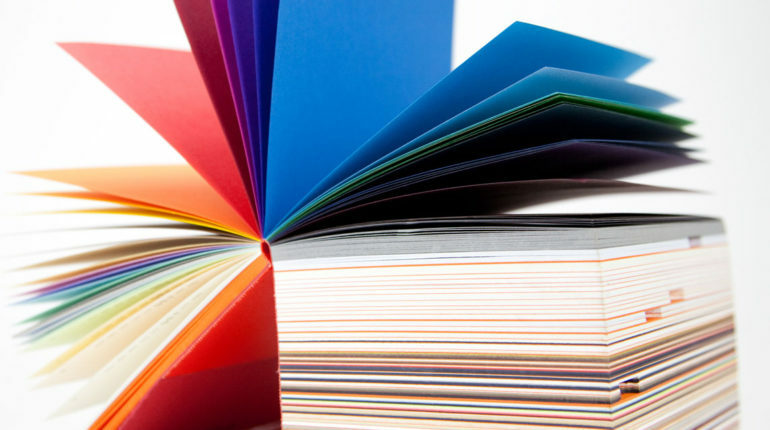 You could have a situation whereby two 150gsm papers weight the same, But one could be a thick vellum paper containing air and bulk and the other could be calendared a process that involves compressing the paper with high pressure rollers. Both are classified as 150gsm paper stock, but look and feel very different. 1000 micron waterproof PVC material used for banners, has a different weight to 1000 micron silk paper, and therefore has a different Gramme Per Square Meter. 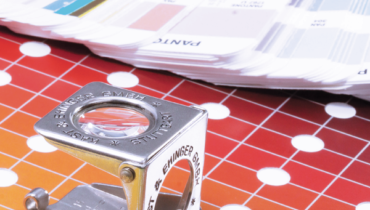 When checking between prices for different print products, it is therefore important you look at the type of material, GSM and micron to get an exact comparison. Sometimes you may also see the term ‘sheets’ advertised, where thickness of card refers to how many typical sheets thick it is. At BrunelOne.com, we tend to stick to just GSM and Micron, though. Keep up the great work! You understand, many people are searching round for this info, you can aid them greatly. I am trying to make my own paper but how can I know what 150gsm is? Is there a way of measuring that I can use? Hi Liz you would have to measure the area of the paper. For example 1 meter square of paper – then weigh the paper. A 1 square meter piece of paper weighing 300 grams would be 300gsm. If you had half a square meter that weighed 300 grams the gsm would equal 600gsm – grams per square meter.